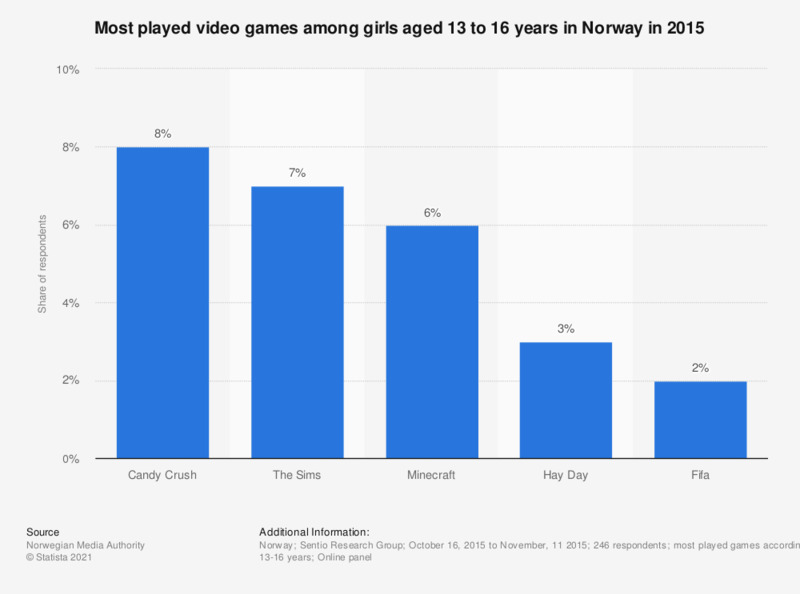 This statistic shows the result of a survey on most played video games among girls aged 13 to 16 years in Norway in 2015, according to their parents. The puzzle video game 'Candy Crush' was most popular among girls aged 13 to 16 years (8 percent of children). 'The Sims' (7 percent of individuals) and 'Minecraft' (6 percent of respondents) ranked second and third respectively.